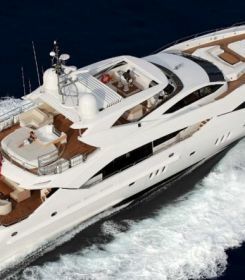 we do this in coordination with the international network brokerage partners and we are said to be the largest resellers of second hand yachts which are of high quality and ready to go especially in Turkey and Greece. When looking for a Mega yacht to live and sail around the world, you can check our portfolio and contact us at Constellation Yacht brokerage firm. We can help you locate the suitable yacht in the right place and which is equivalent to your budget also.